Here they are the wedding nails! A bit different from a traditional bridal manicure, but our wedding was anything but traditional! Instead of a flowing bridal gown I wore white leather paired and short hair with white and blue accessories. So naturally I opted for an edgy nail design for my wedding nails. Our official wedding photos will be ready soon, so you’ll get to see the full outfit! 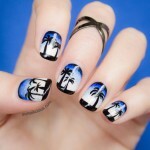 The nail design I’m showing today was my second look because somehow I broke my nails (arghhh!) 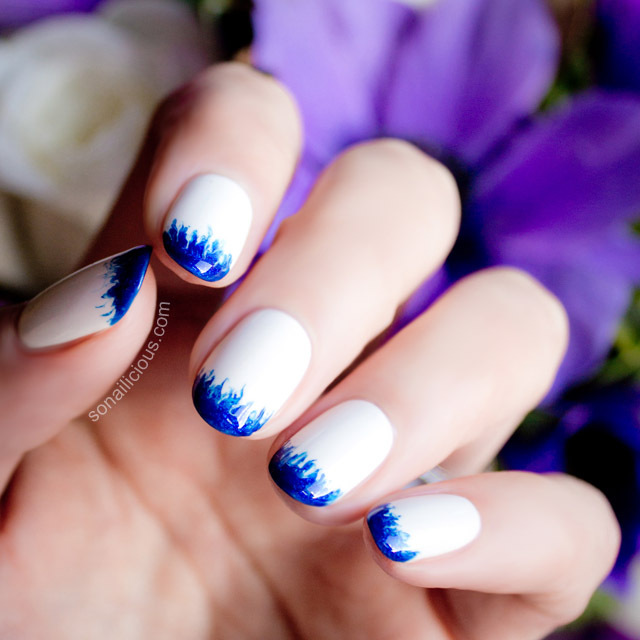 completely ruining the first, more complex blue and white nail design done the night before. 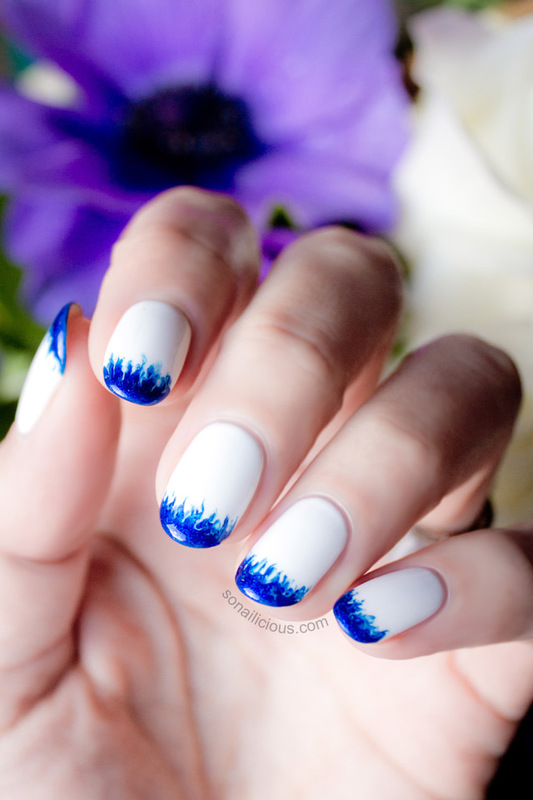 I did these cloudy ombre nails on the actual wedding day because it’s a super quick (how-to here) and failsafe design. So ladies, if you’re getting married, take one piece of advice: get gel nails or good quality clip-on nails. Anything can happen on your wedding day so you need everything to be 100% fault proof. If something goes wrong, you won’t have time to replace or re-do it. 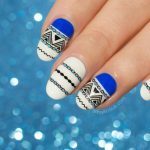 Gel nails, love or hate’em, are much more chip resistant than polish. 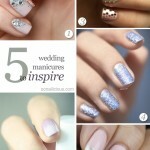 So get them done for your big day! 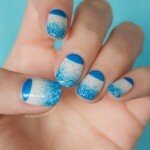 Used: Sea Siren Leucosia (white) and Deep Blue Sea (blue), Sally Hansen Big Shiny Top Coat. There were a couple more interesting wedding beauty lessons learned on my wedding day. I’ll share some of those in our next “Makeup Monday” post. Now, you turn guys. 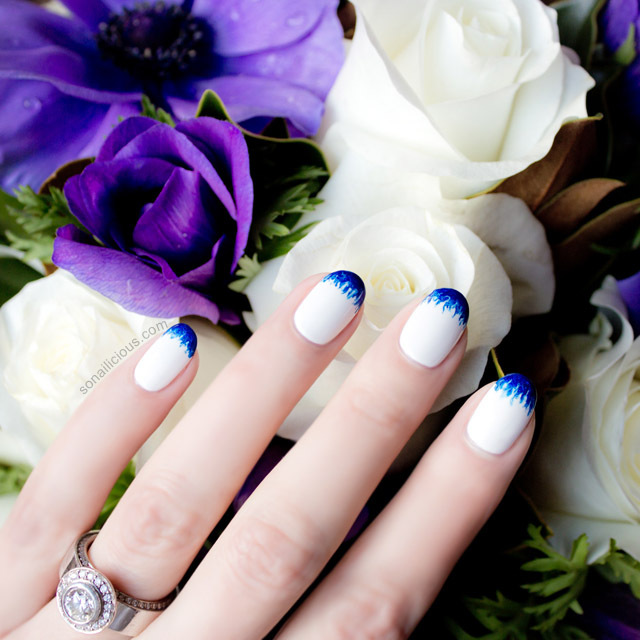 Spill, if you’ve married, how did you go with your wedding nails?